The Bighorn from Mystery Ranch shares the same basic size and shape as their 3000 cubic inch (49 Liter) Big Sky, but it has many more features built in to make it more suitable as a load-hauling hunting pack. It is supported by the X-Frame that transfers weight into the Live Wing waist belt to keep too much weight from being carried on the excellent Furtura Harness. 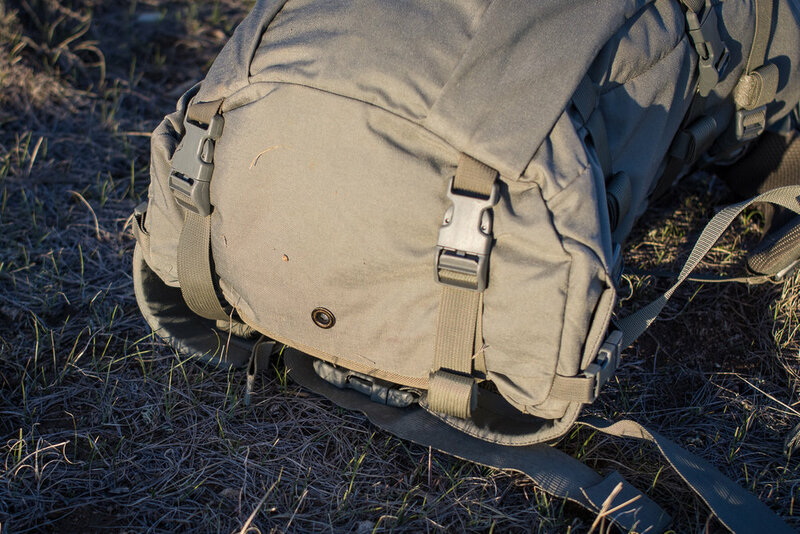 Not only does the Bighorn feature that classic Stick-It for overload items, but it has a top pocket as well as two zippered and two sleeve pockets on the interior for organizing your gear. There is a PALS compatible field on the interior back panel to add anything else you might need. Dual daisy chains, side, face and bottom compression straps and external bottle pockets ensure that any gear can be lashed to the outside of the pack. The Bighorn carries like a dream and seems to bridge the gap between daypacks and expedition packs with ease.